I always feel just a little guilty when I introduce myself to the people that I have worked with here in South Africa. The conversation is nearly always the same: “Hi, I’m Spencer.” “Nice to meet you Spencer, and where are you from?” “Oh, I’m from the United States, a place called Utah. Its in the Rocky Mountains, in the west.” “And you study marine biology?” And that’s where the guilt comes. I can always see the confusion in their face, the slight hesitation. Because the answer is no, I’m not a marine biologist. In fact, I live 1000 miles from the nearest ocean. Before coming to South Africa, I could confidently tell you I knew nothing about marine biology. I’m a microbiologist; more specifically, right now I study bacteriophage viruses to try to find a better cure for the MRSA bacteria. I can see the internal monologue happening in their heads as they think “a marine biology intern that doesn’t know marine biology?” The next question is usually a polite variation on the theme of: “So why did you come here?” At this point… I lie. 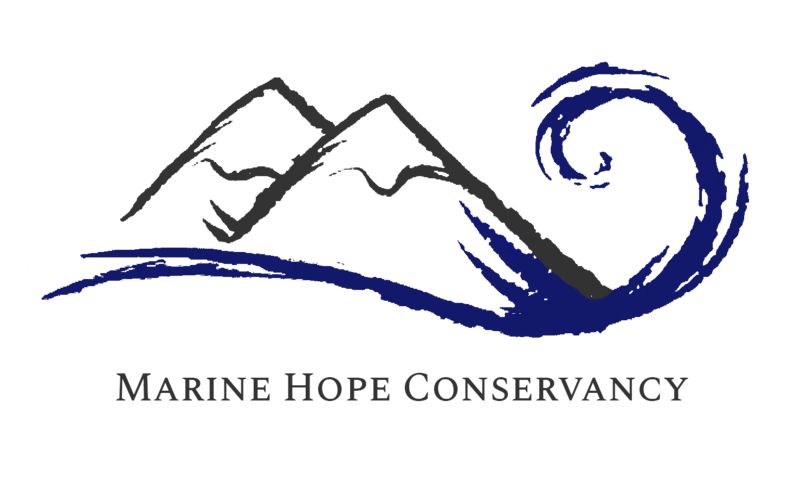 “I saw an advertisement through my university for the Marine Hope Conservancy, and so I applied.” It’s a white lie I suppose, because everything in that statement is true, but I didn’t answer the question they asked. That was the story of how I got here, not why. It’s the reasoning behind the oft avoided “why” that makes me feel just a little guilty inside. One of the excuses that I use to justify coming here (to myself, that is) is that marine biology is science too, and I want to be a well-rounded scientist, with lots of different skills. I used to say that I loved all the different sciences except botany, because plants are boring. I’ve since learned that its not plants that are boring, it’s Utah’s plants that are boring. Every day here has been an adventure. As someone who has lived in a high desert at about 5,000ft of elevation his entire life, the diversity here is incredible. From the scrub by the sea, to the rolling fynbos, to the giant yellowwoods, I think Port Elizabeth is pretty close to the garden of Eden. With this new-found love of botany has come a new deeper appreciation for conservation. I’ve learned that you need to be careful around Kerry. If you’re not, she’ll rub off on you, and you’ll find yourself rejecting plastic straws and bags and disposable containers because you know they’ll end up in the ocean eventually. I’ve always known that conservation is important, and that the oceans needed to be protected, but it was a very cerebral knowledge. Now it has become very personal, and it has been a pleasure to get to work with some of the local conservationists, and with the Sustainable Seas Trust as they work with Kerry to get ready for their big beach clean up in a few weeks. I had the chance to give a presentation at a couple schools about plastic pollution and how the students can help reduce pollution in their environment, and it was incredible to see the community start to personally engage in the work of conservation, just like I had. As a side note, if you are ever travelling through a school yard and see some Rand on the ground, don’t pick it up, even if you are just going to give it to a teacher like we did. I’m reasonably sure we were the subject of a bet, and the results were… loud. Coming to Africa was attractive for lots of reasons, not the least of which was the adventure! My month here has been everything I could have ever dreamed of. I went bungie jumping off of the tallest bridge-based bungie in the world my first week here, and have felt at least a little bit invincible ever since. I’ve been not twenty feet from a Southern Right whale mother with her brindled (white) calf. I’ve seen a baby Humpback whale practice breaching and playing. I’ve done beach surveys in my bare feet dodging between the washed-up bluebottles so that we could collect shark egg casings. Standing from the top of the cliffs at Robberg, I saw a Great White Shark lazily perusing a seal colony. I went rock climbing in the Hogsbacks, and abseiled down a waterfall. Each day out on the boat with the guys from Raggy Charters was a joy, even when my insides decided to violently become my outsides. Then Kerry introduced me to miracle drug Medazine, and it was nothing but smooth sailing from there. Every single day has been a new adventure, and my time here has been nothing short of incredible. In the end, none of those reasons were why I decided to come to Africa. I came to Port Elizabeth because in a way, I wanted to re-make myself. I wanted to do something truly life changing. I wanted a challenge that would make me grow in new ways, and ensure that I would never be the same again. So I flew 10,000 miles to a continent I didn’t know a single person on, to work in a field I knew nothing about, and I am happy to report that I was absolutely successful. Not just because I can recognize all the birds in the bay on sight now, or I can tell a Humpback blow from a Southern Right. I wasn’t successful because I completely overcame my fear of heights, or even because I gained valuable scientific skills and experience working alongside an incredibly talented and dedicated mentor. I was successful because I fell in love in South Africa. I fell in love with Port Elizabeth. With the animals, the plants, the people, the culture and the science that studies all of it. If you let it, this place will change you, and you will be better for it. You’ll be converted, and like me, you’ll never want to leave.